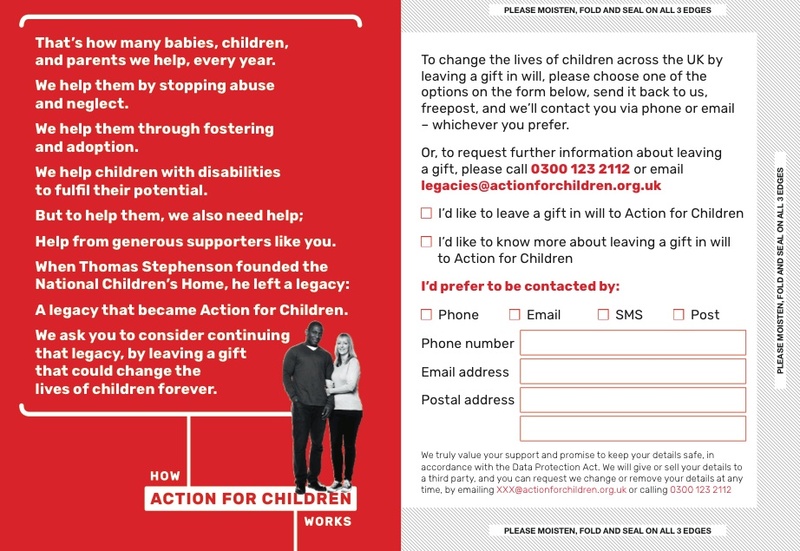 Legacy work for Action for Children. First and second image: A6 foldout, going to a warm audience – Methodist supporters – who know the history of the charity (inc. the Methodist minister who founded it). 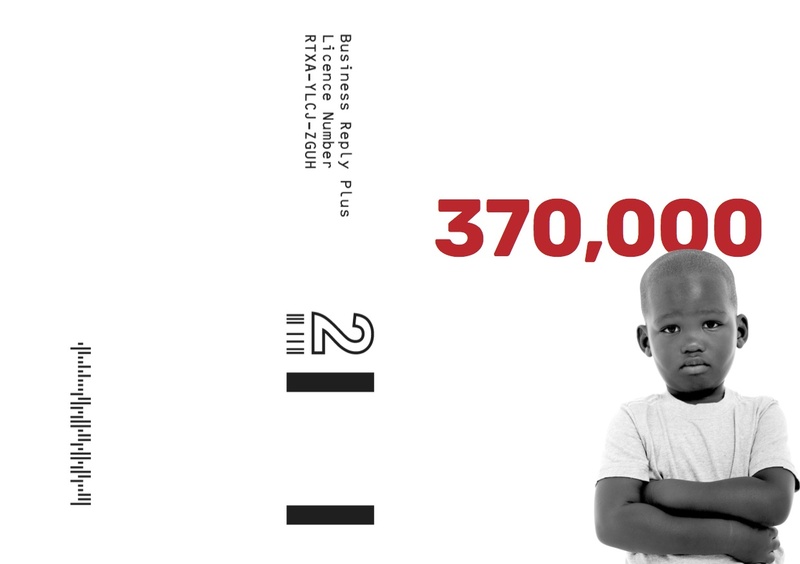 It needed to grab their attention – hence the ‘370,000’ hook – then convince them to leave a gift in Will, based on familiarity with Action for Children and the belief in ‘acts of mercy’ that help children and disadvantaged families. 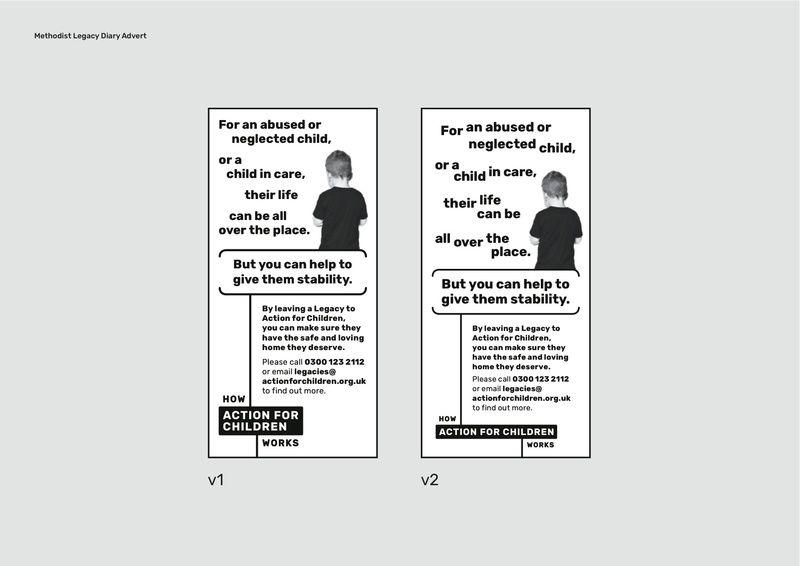 Third image: Legacy press ad, working within a very limited space (63mm x 118mm), but with maximum impact via a visual demonstration of the effects of child neglect. Copy was deliberately realigned towards the end, showing how ‘your legacy’ can provide stability for children.